Hi there! I’m, Kim Thompson, founder of theHubline. I started my company because as a small business owner I know firsthand how stressful on-line marketing and self-promotion can be. I figured if someone like me, who loves sales and marketing, can find the process a bit overwhelming and stressful, then others probably are too. I produce really simple set-by-step training tools that will help you create your own online marketing machine bringing you more traffic, higher quality leads, and more sales without the frustration. I was born a small child – ok wait I’m just kidding I’m not going to bore you with my life history! Here it is in a nutshell – I grew up thinking it was insane for people to go to a job 5 days a week, during the best part of the day…it made absolutely no sense to me. Which is precisely how my father felt – he thought it was a bit crazy as well. He told me that no matter what you do for your life’s work you should enjoy it, and if you really want to write my own paycheck then you should at least consider a career in sales or have your own business. I went into advertising sales and loved it! I became a top producer and went on to train salespeople in other organizations. I then owned a franchise with a company called Success Motivation Institute. SMI was the pioneer in the personal development home training courses. I held training seminars on, what else, sales, marketing and personal development – in case you didn’t realize it takes all three to truly have success. Mindset + Skillset + Action = Success. I later went on to sell and produce incentive programs for corporate America. These were programs designed to reward and further incentivize the top producers in various companies. It was a wildly creative, high energy and fast paced industry and I loved it but I was drawn once again to the driving force behind the top producers – what set them apart? Why were the same people consistently on the leader boards? This interest led me to start my own sales and motivational conferences. I brought together leaders in the self-improvement, personal development industry. Leaders like Les Brown, Greg Reid, Lisa Nichols, Loral Langemeier and Eric Lofholm, in an effort to teach people how to truly tap into their genius. A funny thing happened – I knew off-line marketing and a bit about social media but not nearly to the extent that I needed to know. As the conference approached I was desperately trying to boost attendance. We had about 90 people when I was anticipating 200, clearly I had to learn on-line marketing. That’s when I made the decision to buckle down and study. I made it my mission to understand everything about Internet marketing – the entire process. The funnels, the tools, the lead pages, auto responders, email campaigns – all of it. But WOW, where to begin it was a bit frustrating and quite overwhelming. There’s so much information and so many systems to set up. It’s no wonder most people give up – unfortunately, just short of reaping the rewards. I bought hundreds of courses, read books, and tried new systems, attended conferences and…. hit Information Overload – OUCH! That’s when it hit me – develop a course that anyone can do – simplify the entire process and make it easy enough for a third grader to follow: short, concise and to the point. That’s precisely what I did. I created training courses so simple that if you can send an email you absolutely can build a business online. No matter what the business! That’s what the HUB line is all about – giving you simple to follow training, tools and systems to either expand your current business via the internet or build an online business of your own. Our mission is to support the work of entrepreneurs, small business owners and professionals, including coaches, real estate & insurance agents, doctors, lawyers and creative visionaries wishing to expand their reach. 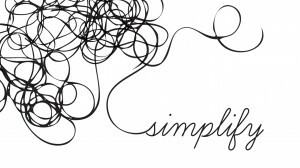 Our motto – keep it simple sista! I learned about the KISS principle years ago in Toastmasters and it’s been the key to much of my success. Too much information leads to overwhelm, which leads to frustration, which leads to inertia, which simply means no business. We’ve dedicated ourselves to taking the frustration out of online marketing by streamlining the set-up and process. We provide simple step-by-step courses (recorded – so you can pause, back up and set up according to your learning curve). Which means that no matter where you are in life, how quick or fast you learn – you will be able to start or build a business online, automate the process and get on with doing what you love to do! Want some help expanding your business online? Click the book to grab your copy of “Get Clients Online”! TheHUBline puts YOU at the forefront of success! We give you the strategies and tools, take you by the hand AND show you step-by-step how to use them immediately so you can start your road to leveraged, residual online success…..that’s it period! Sample the online business cheat sheet course for free by grabbing the 3 part online business training series.